We believe in mouth- watering, local, fresh, baked-to-order pastries and breads! 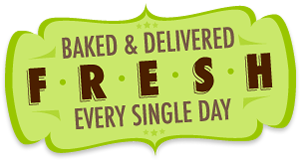 SLO Baked Bakery is a full-service commercial bakery located in San Luis Obispo, CA. Please contact us to learn more about our delicious fresh baked pastries, breads, desserts, and cakes for office meetings, parties, and thank you treats. We have scores of delicious and creative ideas to share with you. Visit our list of local businesses such as coffee shops and cafes; grocery and market places; hotels and B & B's; and more who carry our products. © 2014 SLO BAKED BAKERIES INC.